I’m in the business of meat education here at the Portland Meat Collective. In many ways, we try to stay away from technology as much as possible and get our students back to the elemental basics of butchery and charcuterie. Heck, we even discourage the use of bandsaws in our classes. But at the same time, our business model wouldn’t be successful if we hadn’t been able to spread the news of our launch and our subsequent classes far and wide, and quickly, using online tools. Our business model, in which we help our students buy animals directly from small, local farmers then organize classes led by knowledgeable butchers and chefs, also wouldn’t have succeeded had we not been able to quickly get a hold of farmers and instructors via email, text, and websites. 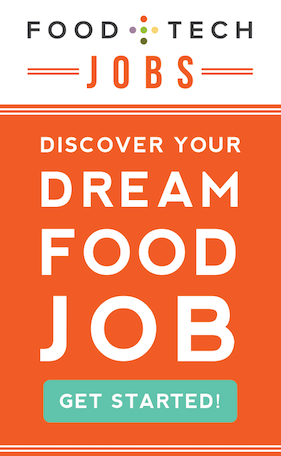 Last year, after a story of mine debuted on This American Life, a weekly public radio program that is broadcast on more than 500 stations to about 1.8 million listeners (talk about the glory of radio technology), I began receiving dozens and dozens of emails from people all over the country and the world who wanted me to start a Meat Collective in their town. My question to them: How about you start one with my help? Last April, I launched a Kickstarter campaign to raise money to help people do just that. (And while we’re on the subject of technology: talk about the power of online crowd-sourced funding platforms!) Olympia Meat Collective has just launched and Seattle Meat Collective is on its way to launching. We’ve got people waiting in the wings in Ithaca, New York, in Fort Collins, Colorado, in Tennesse, and Vermont, and Georgia, and Texas and Montana. The list goes on. 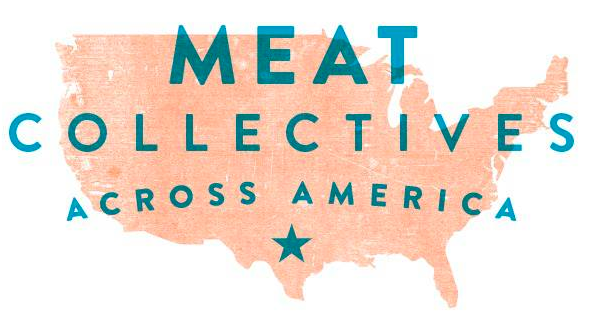 Which has me thinking: If there’s going to be a lot of Meat Collectives across the country, just like there are hundreds butcher shops and hundreds of processors across the country, how will we stay connected? What will our online presence look like? If we’re not a franchise but we are all loosely basing our businesses on each other and want to keep our message and brands aligned, how can we began to think about that social and business connection beyond the rather limited platforms of Facebook and Twitter? And, more importantly, how can the experience of each Meat Collective inform the new experiences of each new Meat Collective through online education, conversation, and visual sharing? How can the Meat Collective farmers utilize an online Meat Collective experience to sell whole and half animals directly to our students once they have taken enough classes to feel confident enough to butcher at home? With so many people around the country wanting to start Meat Collectives what sort of online educational platforms might help us to train these new Meat Collective leaders? In other words, what could a specific, cooperative online community like ours look like online? And does it have to look like what’s already out there? Or is reinventing the wheel futile? If connecting students to farmers, purchasing animals, and sharing recipes and curing/butchery techniques is the basis for our business model, what would that all look like if it could happen efficiently online? How might we rethink online communities and forums such that they really work for a community of meat-mind folks that come at the subject from very different perspectives (be it meat teachers, students, farmers, butcher shop owners, processors, or anyone in between)? Is there something beyond Facebook and Twitter? Are the current online forum platforms good enough? When my French butchery mentor, Dominique Chapolard, came to visit me in Oregon, I introduced him to farmers. Dominique, who runs a seed-to-sausage pig operation with four of his brothers and two of their wives, and who is heavily involved in farm associations and cooperative movements, was alarmed at how many of the farmers here in the States worked alone, without the help and advice of other farmers. He would tell them: “Tout seul, tu meurs.” The direct translation is something like “You work alone, you die.” But it’s really a dramatically French way of talking about strength in numbers. What might Dominique’s notion of strength in numbers look like online if we took the notion of online strength in numbers beyond the shallow limits of Twitter, Facebook, and even traditional forums? How can we bolster sustainable meat production and consumption through info and tech beyond traditional social media? 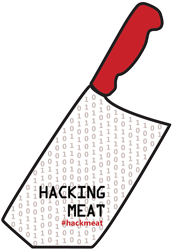 Share your thoughts in the comments below, on Twitter using #hackmeat,on Facebook or at the Hack//Meat SV hackathon happening at The Stanford d.school in Palo Alto, June 21-23. Camas Davis was raised outside of Eugene, Oregon before moving to New York City where she was an editor and writer atNational Geographic Adventure,The Drama Review, and Saveur. 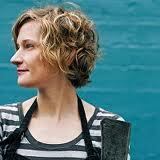 In 2006, she became the food editor of Portland Monthly magazine in Portland, Oregon. In 2009, Davis traveled to southwest France to study the art of butchery and charcuterie. Upon her return, she founded the Portland Meat Collective, a one-of-a-kind meat school and culinary resource that has changed the way citizens of Portland, Oregon think about their food, their community, and their local economy. Davis continues to write about her experiences in the world of meat, including a story that was recently featured on the radio show, This American Life.Davis has also found herself and the Portland Meat Collective the subject of media stories from the New York Times Magazineto Food & Wine. This summer, Camas has begun to help other people around the country to start Meat Collectives of their own.